This post is sponsored by Milwaukee Irish Fest. Many thanks to Milwaukee Irish Fest presented by CelticMKE, for sponsoring this giveaway to provide two lucky Lake Country Family Fun readers a free family 4-pack of tickets to Irish Fest this August. Milwaukee Irish Fest is coming to the Henry W. Maier Festival Park on the Lake Michigan lakefront August 16th through 19th, 2018. Milwaukee Irish Fest is the world’s largest celebration of Celtic music and culture. The four-day festival showcases more than 100 entertainment acts on 17 stages at Henry W. Maier Festival Park on Milwaukee’s lakefront. Mark your calendars for the 38th annual Milwaukee Irish Fest taking place on August 16th through 19th, 2018. What family friendly activities do they have? 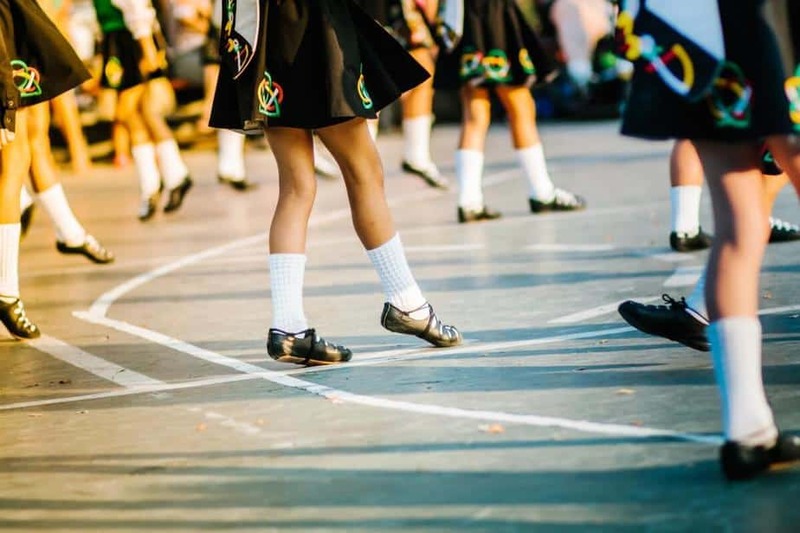 There are so many family friendly activities going on at Irish Fest! First of all, did you know they have parades during the festival? Yes! Starting Saturday at 4:30 pm and Sunday at 4:00 pm., your family can watch a parade that begins at the north end of the festival grounds. There will be bagpipe and drum units, pirates, vikings, and more to see and hear! Be sure to grab a family passport as well, which is like a scavenger hunt. You can find the passport at the information desk or various other stops throughout the grounds. 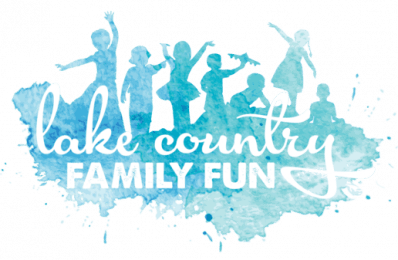 Fill your passport with stamps as you and your family make your way through the event, creating crafts, and collecting prizes. Then check out Leprachaun Village, the Children’s Area, and Greenwish Village for even more family fun, such as searching for gold, Lili-Putt mini golf, and Leprechaun Launch. Tell me about the eats. You will not leave the festival hungry! Irish Fest has over 45 food vendors located throughout the event! If you are not coming to Irish Fest for the traditional corned beef and cabbage and shepherd’s pie, no worries – there are also food vendors selling Chinese, American, and Italian menu items. *View the 2018 Irish Fest Food Vendor List & the Vegetarian and Gluten Free Options List. Tell me about the music and other entertainment. There will be 100 acts on 17 stages!! Yes, 100 acts!! To see all the 2018 artists, click here. Win a free family 4-pack of tickets to Irish Fest!!! Our giveaway ends this Wednesday, August 1st! 🍀 @milwaukeeirish is the world’s largest celebration of Celtic music and culture. The four-day festival showcases more than 100 entertainment acts on 17 stages at Henry W. Maier Festival Park on Milwaukee’s Lakefront. Mark your calendars for the 38th annual Milwaukee Irish Fest taking place on August 16th through 19th, 2018. 🍀 Many thanks to Milwaukee Irish Fest presented by @celticmke, for sponsoring this giveaway to provide two lucky Lake Country Family Fun readers a free family 4-pack of tickets to Irish Fest this August. 🍀 To enter and find out all the info for Milwaukee Irish Fest, hop over to www.lakecountryfamilyfun.com! Tell me about the shopping. Show and share your Irish pride with merchandise and clothing from the Marketplace and the official Milwaukee Irish Fest Store. With more than ninety (90) vendors you’ll find something for everyone at the Marketplace. If you are looking for artisan items and gifts, stop by the Moore Street Market. Be sure to meet and great the Irish/Celtic artisans to learn even more about the culture. *Due to being outside vendors, some may or may not accept certain credit/debit cards. Check with the vendor on the grounds to find out what they accept. Oh, and if it was the music and bands that you fell in love with – stop at the Music Marts located throughout the grounds to grab CD’s and other items and gifts specific to the bands and artists that perform throughout the festival. Giveaway Time: Win a free family 4-pack of tickets to Irish Fest!! Two lucky Lake Country Family Fun readers will each receive one family 4-pack of tickets to Irish Fest! Simply enter your name and valid email address in the form below and comment on this Facebook post. *We will contact the winner via the email submitted. Congratulations to our first winner Julie H.!! Congratulations to our second winner Peter L.!! Other: Entrants must be 18 years or older at the time of entering the giveaway. Entrants must be located in the U.S. The winner will be selected at random and notified via the email that was submitted. Your email will not be shared except to accept your prize. You email will not be sold. Winner must respond within 48 hours to claim their prize, or another winner will be chosen. Only one entry person. Duplicates will be deleted.